The American Queen riverboat is perhaps best known for its big red paddlewheel — but it’s been operating without it for the past week and a half. The two Z-drives are underwater propulsion units capable of moving the boat without the paddlewheel. 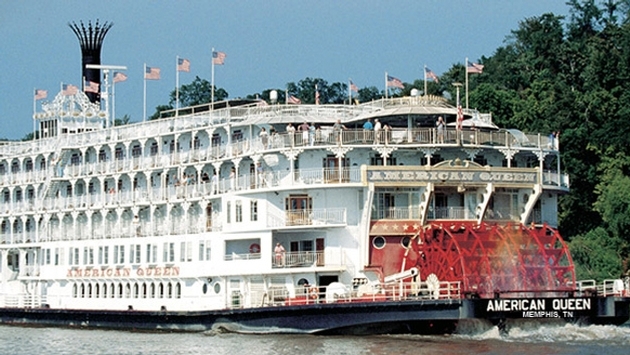 One of the Z-drives also broke down in late June about the same time the stress fracture on the paddlewheel shaft was discovered, further complicating the riverboat’s schedule. 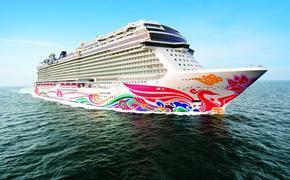 The company cancelled several ports of call during its June 27 Ohio River cruise. Although the riverboat is operating now, the company has changed three itineraries due to high water levels on the Upper Mississippi River, north of St. Louis. The affected itineraries are the July 9 departure between Cincinnati and St. Louis and the July 15 and July 23 cruises between St. Louis and St. Paul, Minn. The changes have “nothing to do with the mechanical situation,” Sykes said. In fact, high water on the Upper Mississippi River has caused some flooding and forced the closure of at least two bridges and several roads, according to local news reports. American Cruise Lines, which operates the Queen of the Mississippi riverboat, said it will operate its Mississippi River cruises as scheduled but that some ports of call will change. “We are closely monitoring the situation with the Coast Guard and the Army Corps of Engineers,” the company said. American Queen’s new itineraries will sail between Cincinnati and Paducah, Ky., calling on Cave-In-Rock, Ill.; Henderson, Ky.; Louisville, Ky.; Madison, Ind. ; and Augusta, Ky. The July 9 voyage will end in Paducah and guests will travel 2½ hours by motor coach to St. Louis to resume their return home as scheduled. The July 15 pre-cruise hotel stay in St. Louis remains and guests will be transferred to Paducah to join the American Queen. The July 23 voyage will now depart Cincinnati instead of St. Paul. Details on that itinerary will be available soon. Those booked on the July 9 and July 15 itineraries can stay on the deviated voyage and receive a $100 onboard credit per person and a $500 future cruise credit per stateroom. Others can choose to book an Upper Mississippi River voyage in late 2014 and roll forward their booking with a one stateroom category upgrade, subject to availability. Sykes said the company retained 100 percent of passengers scheduled to depart on the July 9 cruise, with most joining the revised itinerary and one party choosing to rebook an Upper Mississippi River cruise in August.